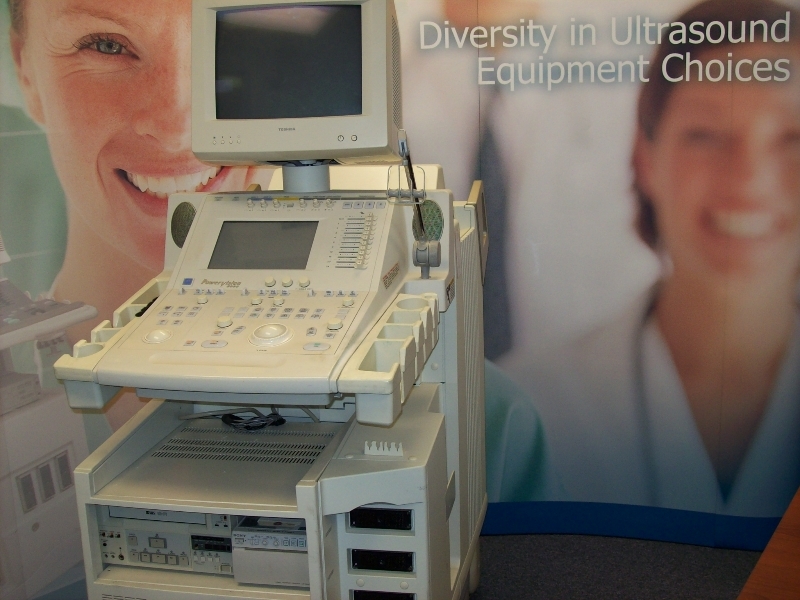 The Toshiba PowerVison 8000 is one of the most technologically advanced and powerful ultrasound machines available. Featuring Toshiba’s innovative and continuously evolving PowerView package, this fully featured ultrasound emphasizes its data management package that supports all DICOM service classes, integrated 3D and stress echo, quantitative analysis, and live digital streaming. Developed primarily for hospitals that need a system for use in multiple departments, the Toshiba PowerVision 8000 is preconfigured with a wide range of applications and calculations.